St Petersburg Police Station 33. Source: Google Maps. Some of those detained at the 12 June anti-corruption rally in St Petersburg have revealed how police officers at Police Station 33 released pepper spray into the cells and refused to let people out. After our publication, the Petersburg police department confirmed that police officers had in fact used pepper gas at Station 33. The activists described how they began to feel unwell and to suffocate. Police officers refused to provide medical assistance, saying that it would “pass off”. However, they then moved the detainees into the basement cells, where they were held overnight. One person detained at the rally on 12 June was held for five hours in a temporary holding cell to await the court hearing in his case. According to the detainee’s lawyer, the room described by his client was very similar to premises at Moscow City Court in which, in the words of people under investigation who have been held there, torture is carried out. As Mediazona writes, in these premises a number of rings are fixed to the walls that would presumably be used to attach one hand of a detainee by means of handcuffs. However, in fact, those held there, whether already charged or under investigation, say that the rings are used for torture. A person is attached to the rings and then beaten, or is left attached to the rings for a whole day. 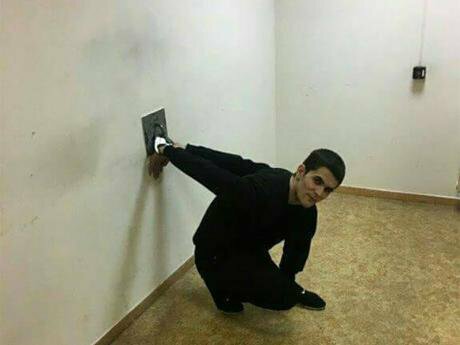 Kamron Usmonov, an Uzbek citizen recently sentenced to 16 years in prison for armed robbery, was kept in this position for several hours a day during investigation. 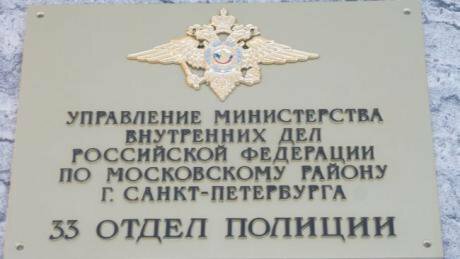 Source: MediaZona.In St Petersburg, one detainee was suspected of having attacked an officer of the National Guard at the 12 June rally. His name is Vladimir Abrosimov, aged 32, who is an unemployed chess player. The court ruled that Abrosimov should be placed under house arrest until 13 August. He is accused of having struck a National Guard officer in the back. Earlier, it had been reported that the person who attacked the officer used a knife, but the Investigative Committee subsequently refuted this information. An activist reported missing, who earlier had left the country, has turned up in a pre-trial detention facility. Moscow activist Denis Bakholdin, who went missing in March, has been found in pre-trial detention centre No. 1 in Bryansk. Bakholdin took part in regular monthly protests in support of political prisoners held as part of the Strategy-6 anti-war protests against the policy of the Russian government towards Ukraine. He has been charged with taking part in an extremist group. Legislation in brief. A new law has entered into force that equates meetings of elected representatives with their electors to public rallies, thereby making official permission necessary for events of this kind. However, elected representatives can still hold such meetings in specially allocated premises, or in the courtyards of apartment buildings, without special permission. In addition, we note that the European Court of Human Rights has found the law on gay propaganda among minors to be discriminatory. The Ministry of Justice intends to challenge this ruling. There is also some good news (true, only one). Moscow City Court has dismissed the case against civil society activist Tatyana Tavrid, who took part in a series of one-person pickets in support of Ildar Dadin. The fine imposed on Tavrid has been quashed. If you are awaiting a court hearing, then this is for you. The link will take you to detailed instructions on how to defend yourself in court, and what to do if you are a minor. Our main innovation is the generator of court documents, which you can use to do everything correctly and speedily, and the legal Telegram-bot,that knows what you should do if you are arrested. Since this information is becoming all the more vital, please share the link with your friends and acquaintances. It’s important. This week we did a great deal of work. You can help us keep going here.